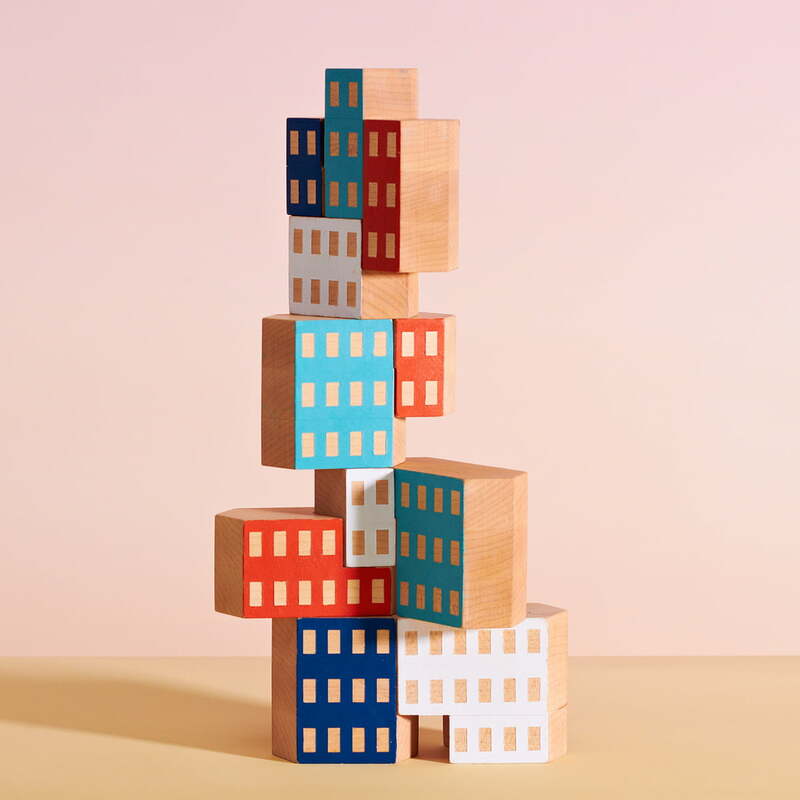 Whether in the children's room as a toy for young architects or as a decorative object in the living room - the Blockitecture building blocks by areaware are versatile and encourage creativity in young and adult minds. 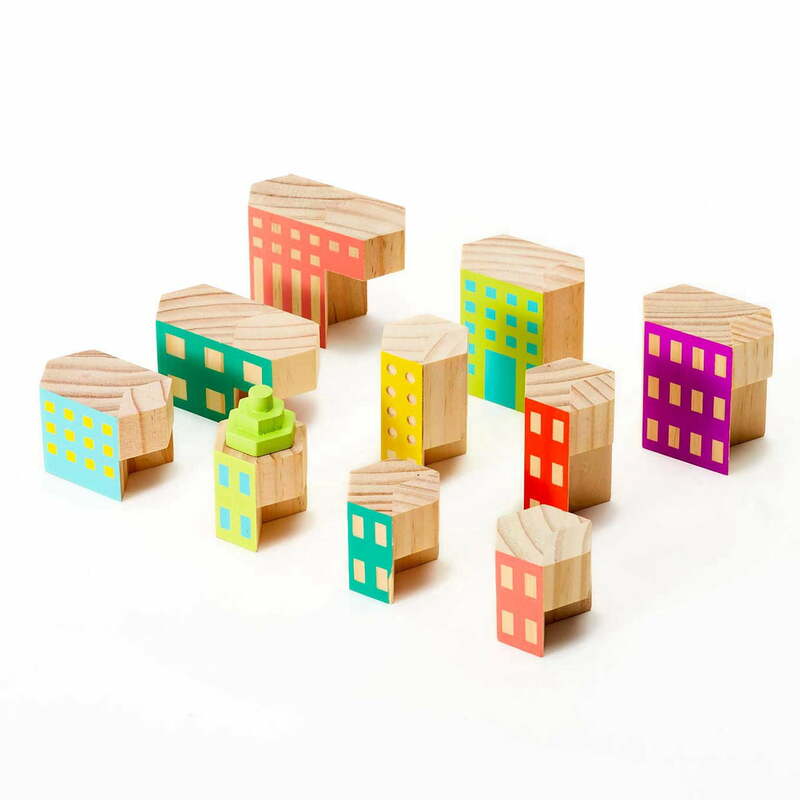 The blocks made of high-quality New Zealand pine wood are carefully painted, evoking the appearance of small house fronts with windows in them. 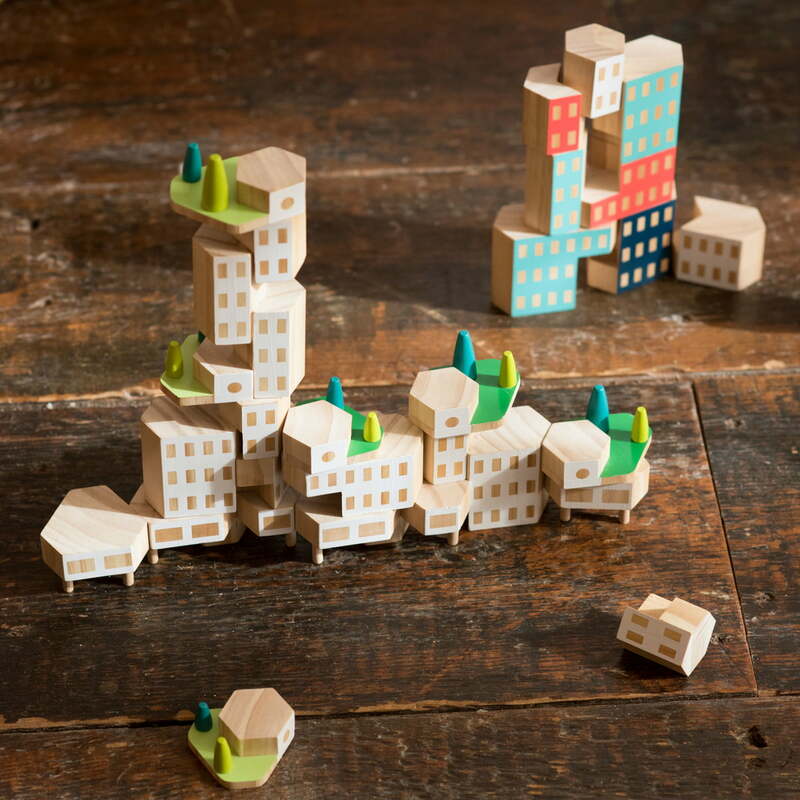 These hexagonal blocks are able to build towers, high-rise buildings and even small cities. 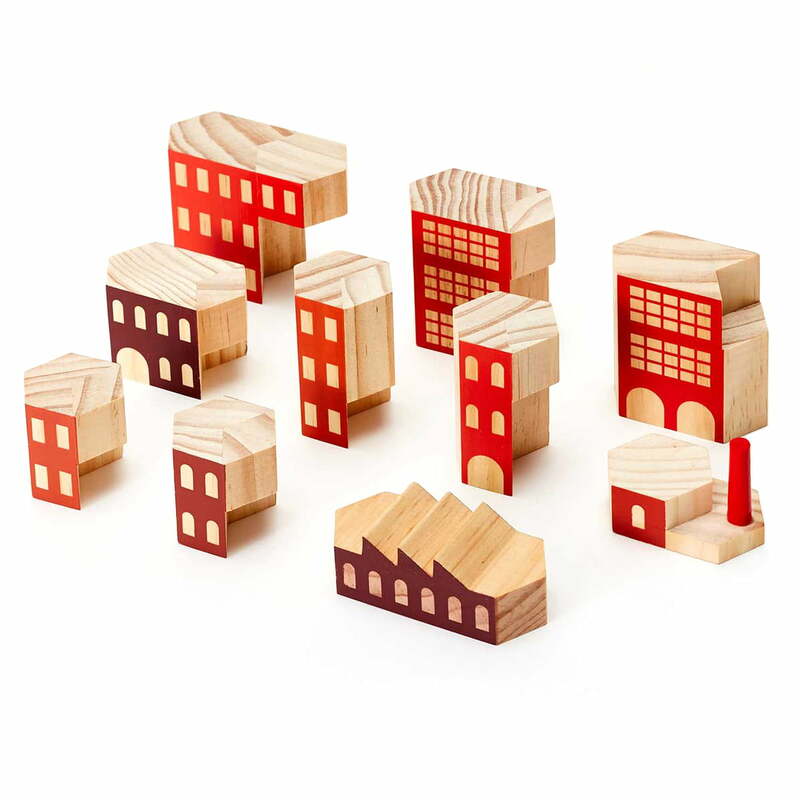 The Blockitecture set by designer James Paulius can be expanded for larger building complexes. 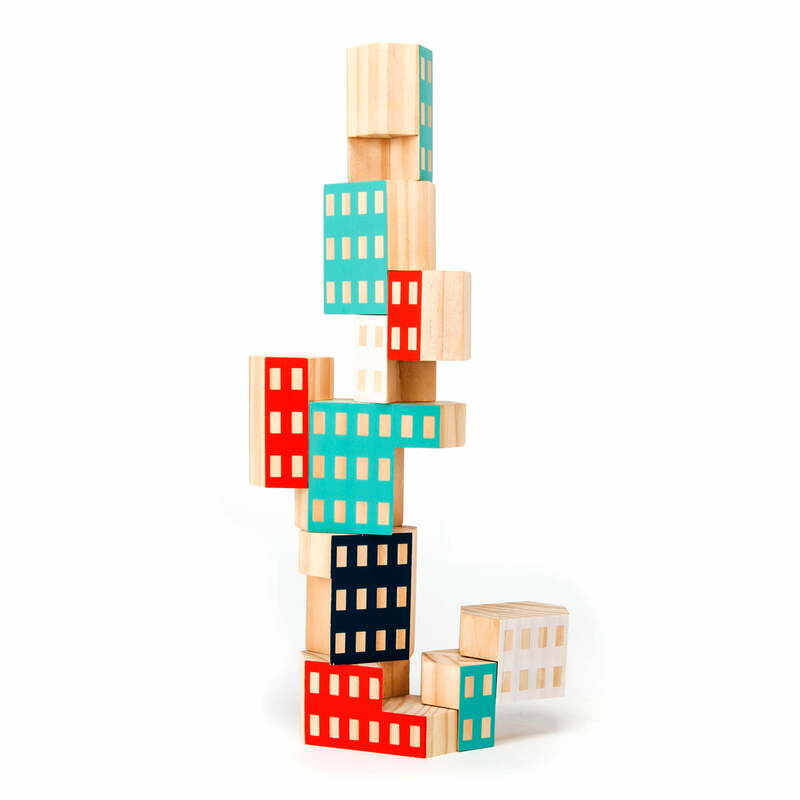 The Blockitecture blocks must not constantly be used as a toy - they also work exceptionally when used as a three-dimensional sculpture, whose single parts are harmoniously coordinated. 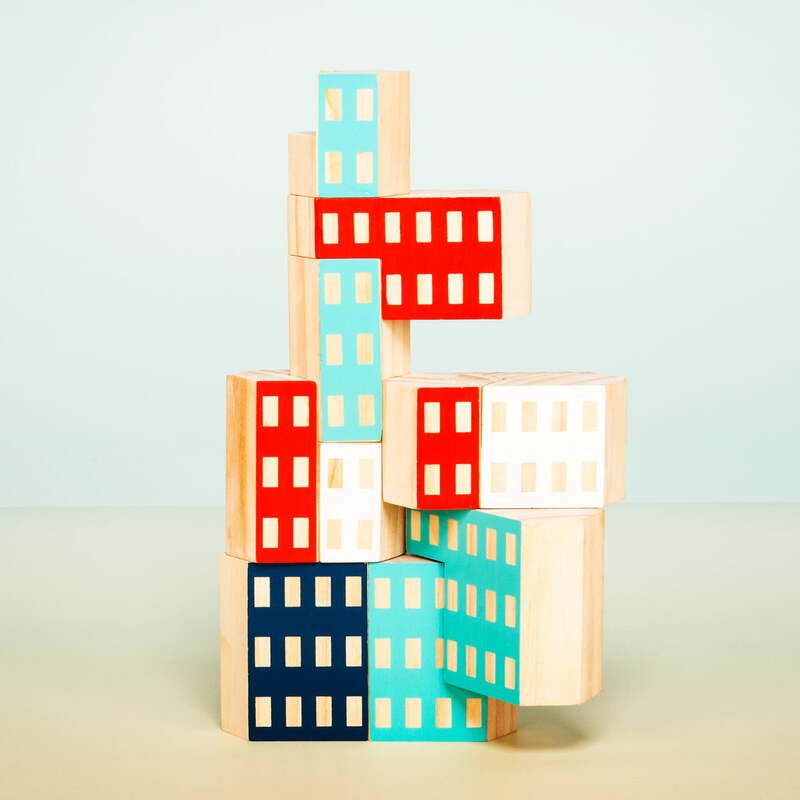 Individual image of the Blockitecture wooden architecture toy by Areaware. 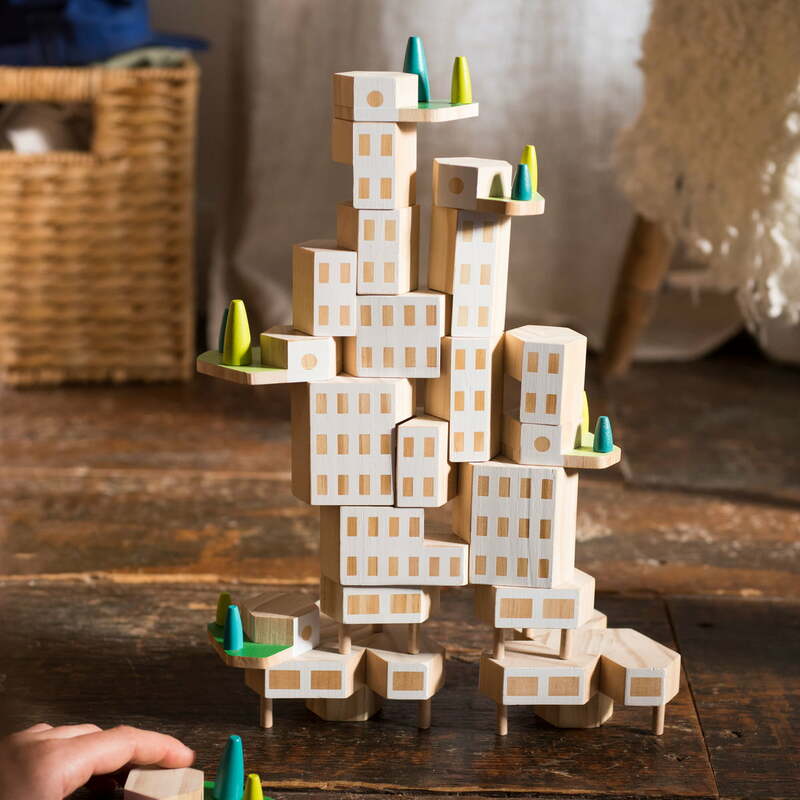 With Blockitecture, towers, high-rises or even entire towns can be built by up and coming architects or design fans. 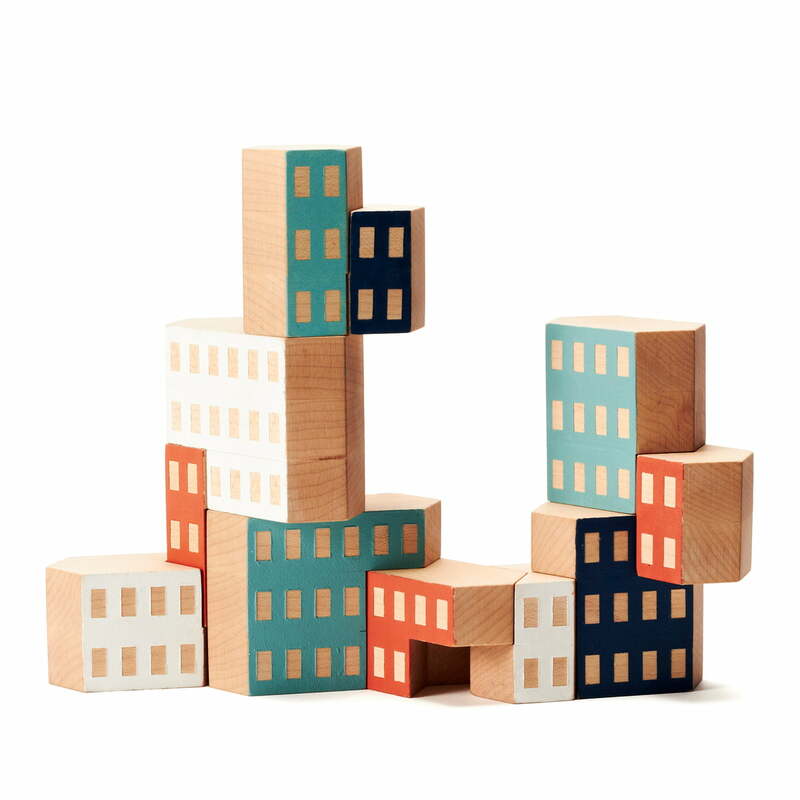 Individual image of the Blockitecture wooden architecture toy by Areaware. 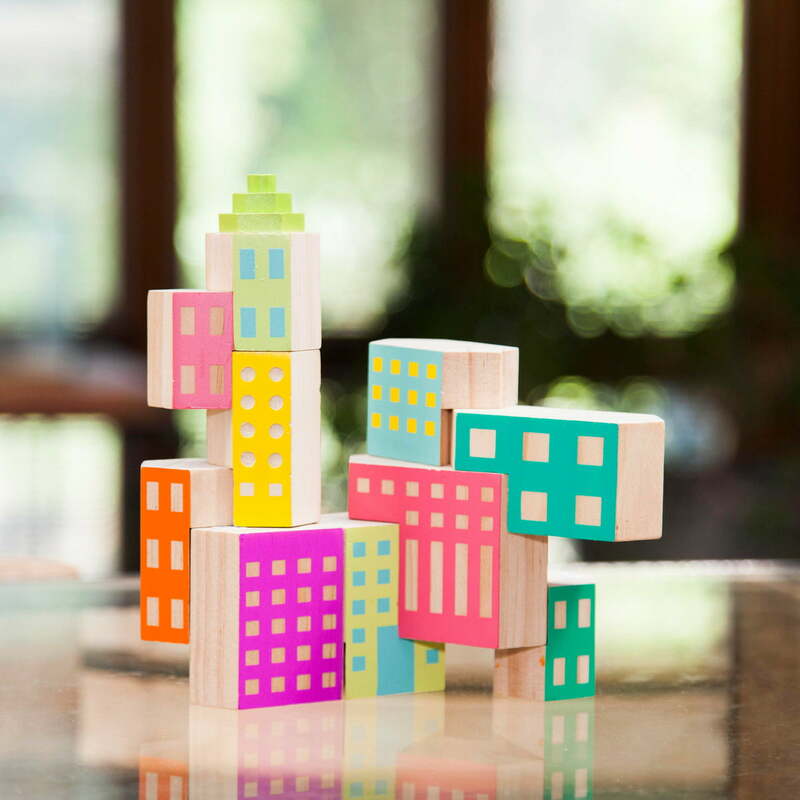 With the lovingly painted wooden Blockitecture blocks, creative towers and high-rises can be built. 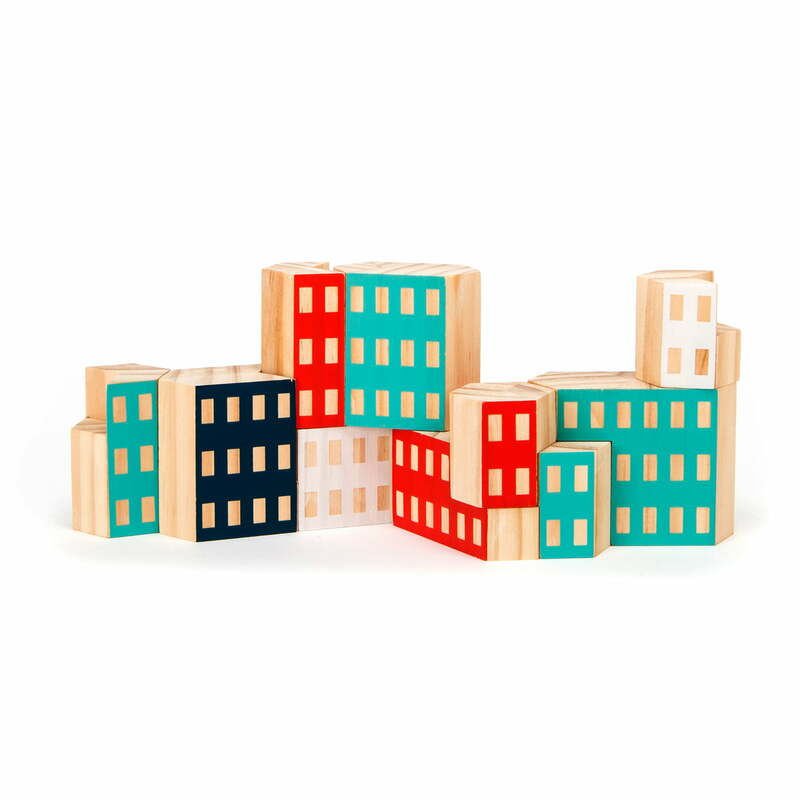 Individual image of the Blockitecture wooden architecture toy by Areaware. 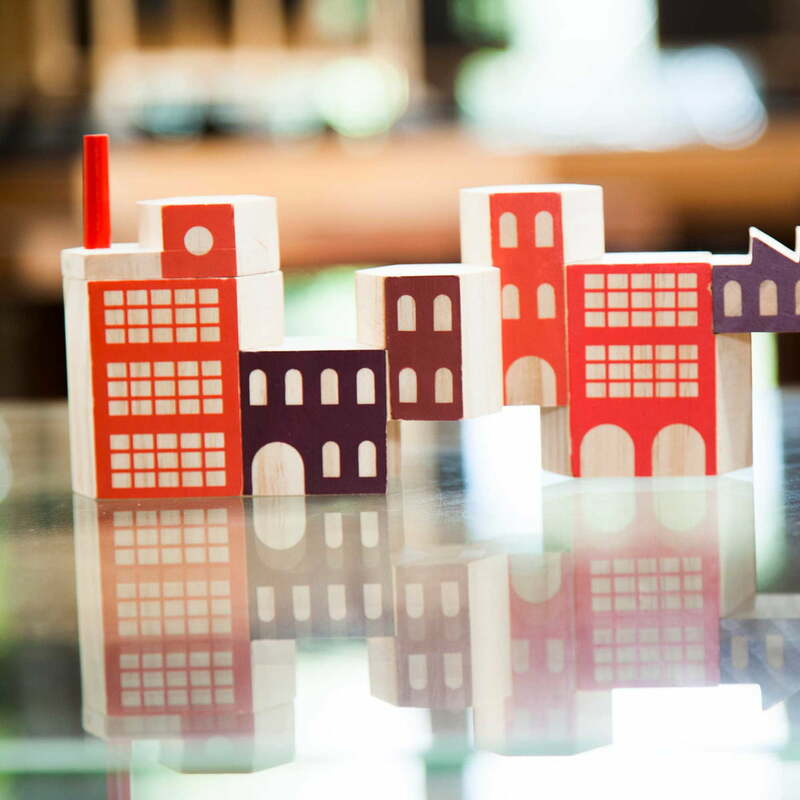 Blockitecture consists of differently sized and painted hexagonal wooden blocks for play or decoration. 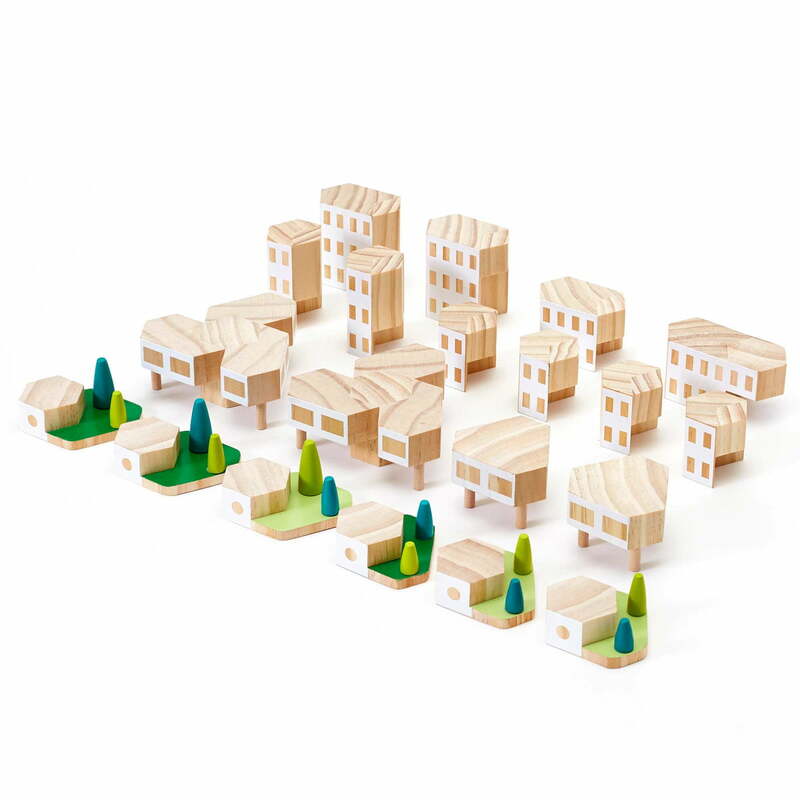 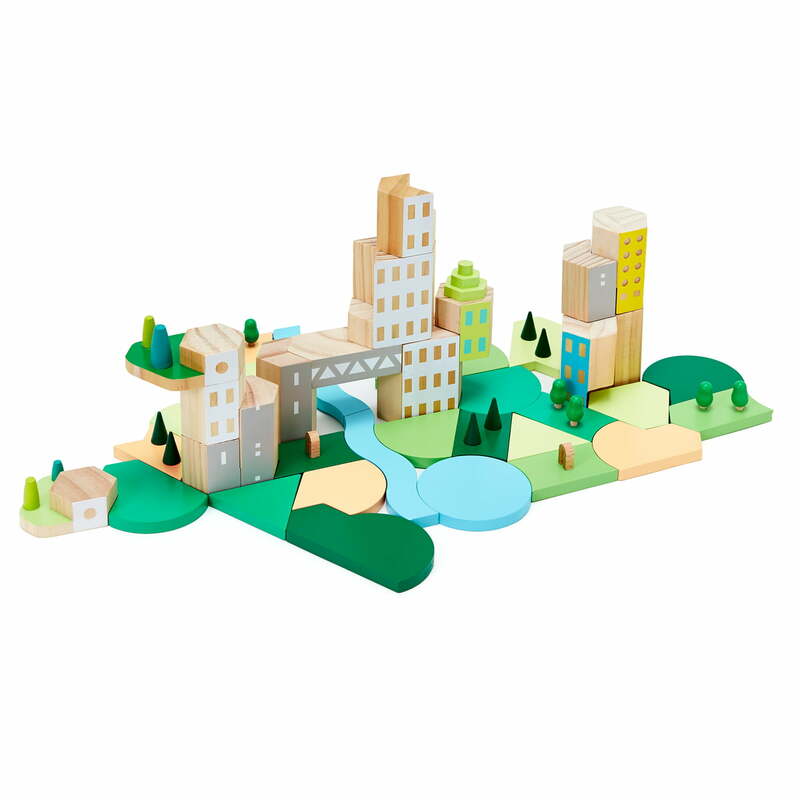 Group product image of the Blockitecture wooden architecture toy by Areaware: Parkland and Garden City complement each other perfectly and are particularly great when combined. 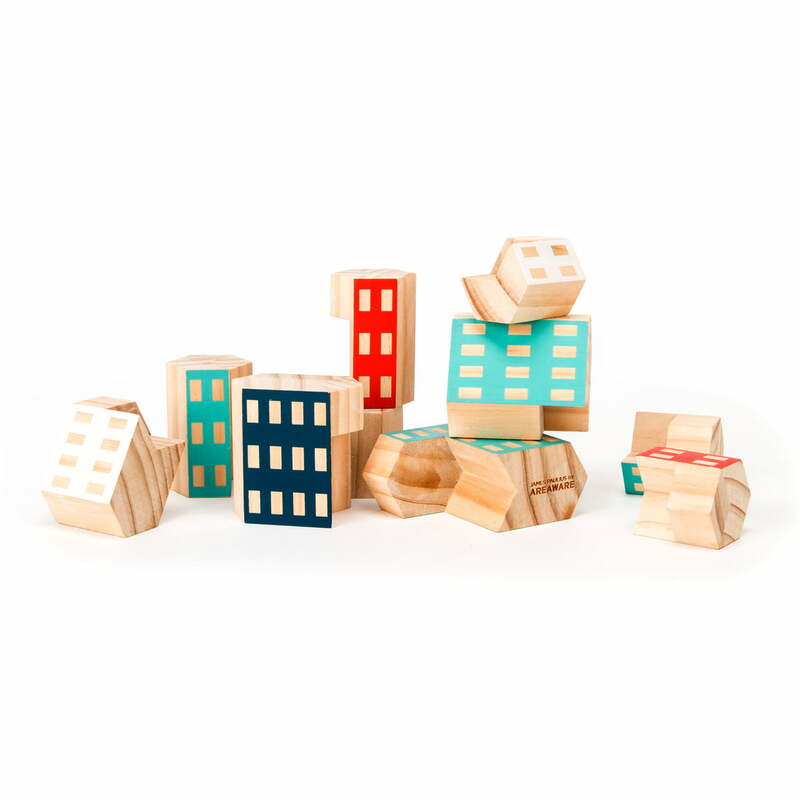 Blockitecture by Areaware is a wooden toy for enthusiastic up and coming architects. 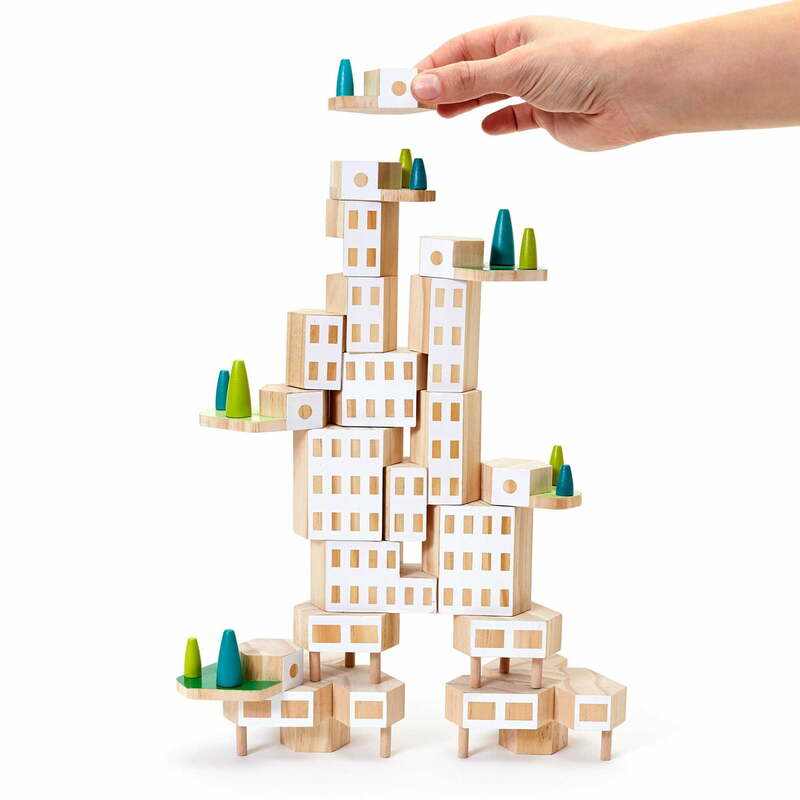 The high-quality wooden blocks can be used to build highly varied, artistic towers. 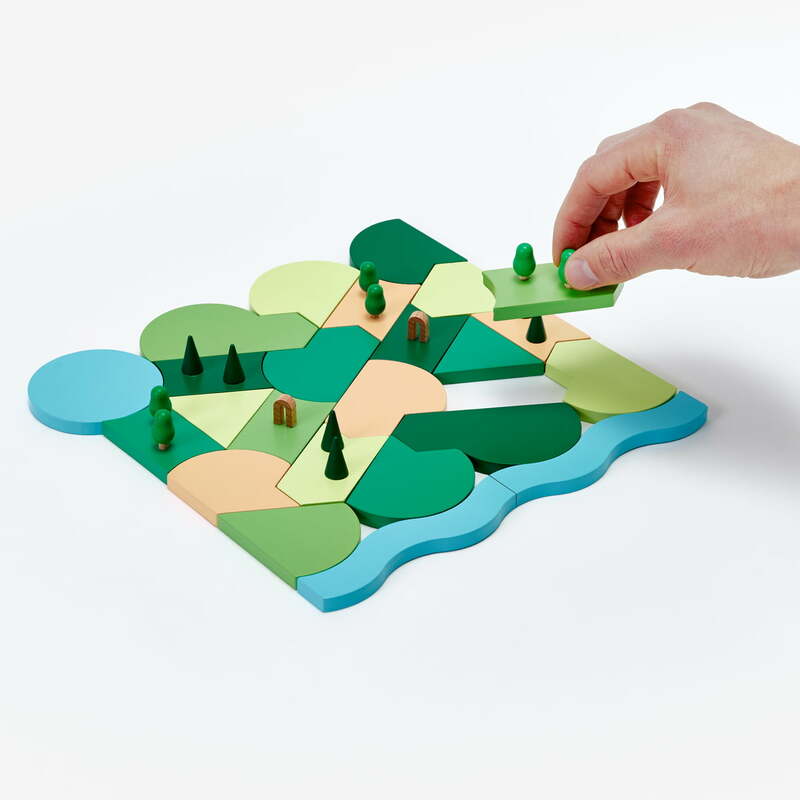 Group product image of the Blockitecture wooden architecture Parkland toy by Areaware: The Parkland landscape is a great addition to the houses from the Blockitecture series.